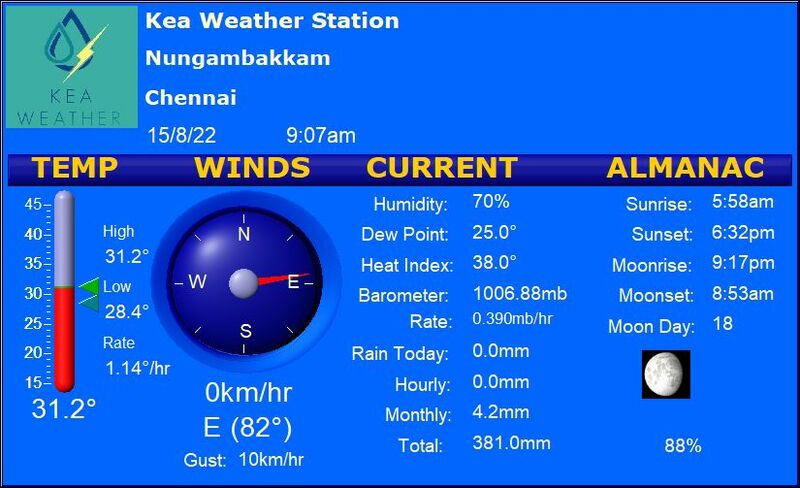 Temperatures across Tamilnadu have registered a considerable drop in the past 24 hours, and this trend of moderate temperatures is expected to prevail during the next 24 hours as well. With regards to coastal districts, sea breeze is likely to set in as early as noon, moderating day time highs, but with it can bring some sultry conditions during the afternoon hours. Meanwhile, the analysis of synoptic conditions indicate the presence of a wind discontinuity at 1.5 km above mean sea level. Under its vicinity, isolated showers can occur over parts of Telangana, North Coastal Andhra Pradesh along with some pockets of North Interior Karnataka. East India continues to remain in the grip of heat wave.